If you or your child suffer from red, itchy, and patchy skin, eczema may be the culprit. 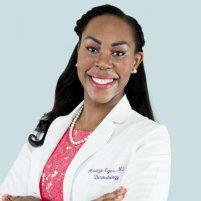 There’s great news, though: at Humble Dermatology in Humble, Texas, highly experienced dermatologist Adaeze Egesi, MD, can help you manage eczema and all of its difficult symptoms. Get the help you need now by using online booking or calling the office today. Most eczema sufferers have atopic dermatitis. It causes symptoms like scaly skin, inflamed skin, skin itchiness, and extreme skin dryness. In the worst cases of atopic dermatitis, you can develop weeping cracks in the skin. Contact dermatitis causes skin irritation after you come in contact with an allergen. Detergents, tobacco smoke, and soaps are common causes of contact dermatitis. Nummular eczema causes distinct round sores that are often itchy, weeping, and painful. This type of eczema may start with mosquito bites or particularly dry skin. Dyshidrotic eczema causes fluid-filled blisters along with itchy, inflamed skin. It tends to occur on your hands and feet. There are other forms of eczema, some of them quite rare. Although symptoms vary depending on the type of eczema, all eczema has one thing in common: uncomfortable and potentially painful skin problems. The cause isn't known at this time, but researchers believe that both environmental and genetic factors contribute. Certain factors increase your risk of developing eczema, including having immediate family members with eczema, having allergies, and having asthma. All flare-ups may not be avoidable, but you can reduce your eczema symptoms considerably with specific lifestyle changes and treatment at Humble Dermatology. Dr. Egesi also helps you recognize your specific eczema triggers so you can make other specific changes that may help minimize your flare-ups. 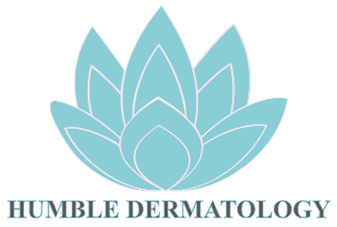 Book your appointment at Humble Dermatology by phone or through the online tool today.